With over 2000 political parties registered with the Election Commission and national parties no longer being able to garner a simple majority, the rules of the game of politics in India are fast changing. There is little doubt that coalition governments are here to stay. But what about ideology and vision, dignity and ethics? Will they find a place in this power-hungry world of political opportunism? Rampant horse trading, brazen poaching of MLAs, defection and an inherent instability define coalition politics today… the worst manipulator of the popular mandate. 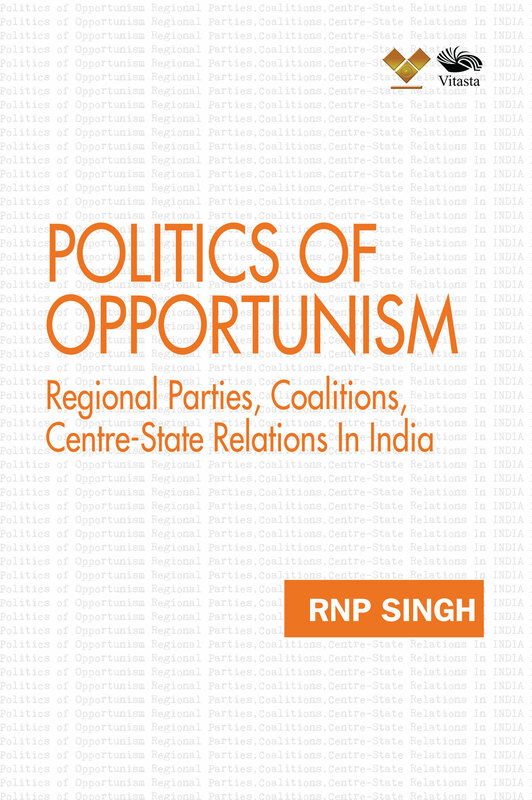 On the eve of the 2019 general elections, the book, Politics of Opportunism: Regional Parties, Coalitions, Centre-State Relations in India, gives you a crisp overview of the past and a critical look at India’s political present, and charts the path of instability that has finally led to a firming up of India’s democratic process. RNP Singh is a Senior Fellow at the Vivekananda International Foundation, a Delhi-based think-tank. He is also Chairman of the College of Vocational Studies (Delhi University). A former officer of the Government of India’s Intelligence Bureau, his distinguished service credentials earned him a coveted President’s Police Medal, Indian Police Medal, the Sukriti and Kautilya awards. He has written a number of books including Riots & Wrongs, Bangladesh Decoded, ISI ka Aatank, Pakistan ki Haquiqat (both in Hindi), Nehru: A Troubled Legacy (2015) and Sardar Patel: Unifier of Modern India (2018).